Once upon a time, It bags were ginormous: we’re talking verging on weekender status. Nicole Richie could all but fit inside the turquoise Balenciaga bag she used to carry around in the early aughts. And while toting around a gargantuan purse isn’t exactly comfortable, it does have its virtues: number one of which being that they hold basically everything. These days, though, the tables have completely turned with style MVPs having swapped out the massive carryalls of yore for teeny, tiny mini bags that are super portable — but don’t hold much. The mini bag trend isn’t a new one, but it’s one with surprising staying power. Street style stars and designers have been downsizing their purses for a few seasons now and with fall rapidly approaching, the trend seems to be showing zero signs of slowing down. Heavy hitters like Pernille Teisbaek have been spotted with the undersized accessory as recently as this month at Copenhagen Fashion Week. In the fashion industry, nothing says MVP status quite like a teensy bag — it means you’re able to leave the rest of your necessities in the car with your driver. Case in point: Olivia Culpo catching her ride, baby bag in hand. 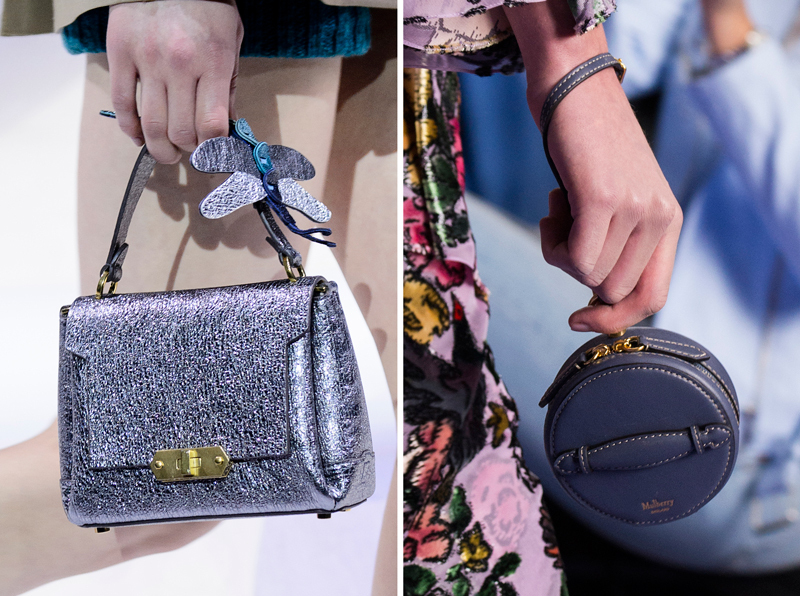 Designers sent many a pint-sized purse down the runways for fall. Anya Hindmarch included everything from tonal wristlets to sparkly top-handle styles in her collection. At Mulberry, the mini bags came circular, in a variety of colors, sometimes clipped to larger options. 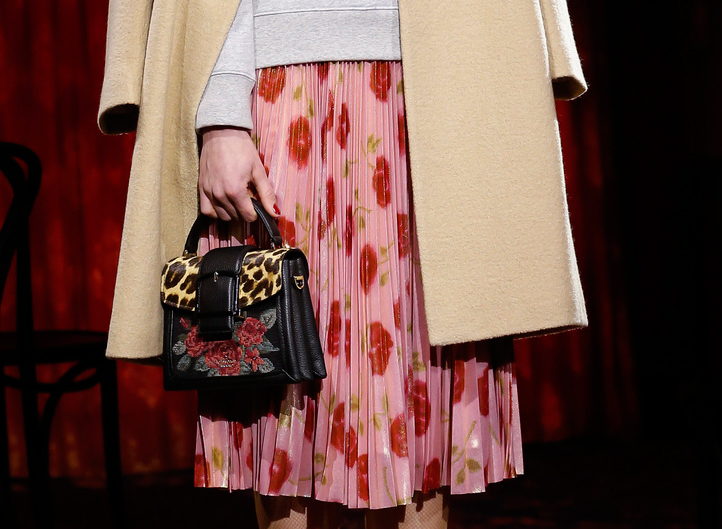 Kate Spade’s options were ladylike and playful (naturally), helping to anchor her leopard/floral combos. No matter your style, the offerings for fall are petite and plentiful. Go small or go home. If you’re ready to try the trend and become master of the minuscule, go on and click through the slideshow ahead. With shopping options for all budgets and all vibes, you’re sure to meet your perfect mini.